Put Diesel in your petrol car? Put Petrol in your diesel car? Don't panic we can help, we provide a Fuel Doctor in Rotherham & all the surrounding towns that can be with you within the hour!. PUT THE WRONG FUEL IN YOUR CAR IN ROTHERHAM? 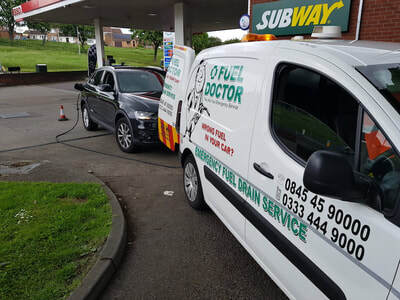 We have dedicated fuel drain technicians covering Rotherham and the surrounding towns, if you are in the South Yorkshire area and have put the wrong fuel in your car or bike, make sure you contact our national call centre straight away from a safe place by the roadside. If your car is a place that may cause an accident then please contact the police first. 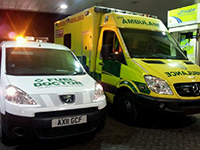 Wherever you are in the South Yorkshire area, we aim to be with you within the hour to get you back on the road. Everyday roughly 25 people put the wrong fuel in their car in the Rotherham area, whether its diesel in petrol or petrol in diesel. It's a very common mistake and easily done, we understand that you need us there fast and to get back on your feet to get on with you life. This customer put petrol in to his diesel VW Transporter in Rotherham, immediately realised his mistake and didn't start the engine. 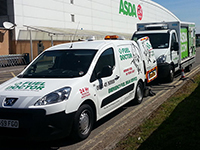 Fuel Doctor South Yorkshire were with him and had him on his way within the hour. Mr Hayden, put 45 litres of Petrol in his Diesel Volkswagon Golf at a filling station in Maltby, South Yorkshire. He realised his mistake when he cut out on the main road and Breakdown recovered him to work at the Police Station. 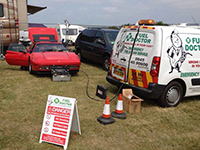 ​We drained his tank, cleaned his system and had him back on the road within the hour. Miss Wood put petrol in to her diesel Audi A3, didn't realise till it cut out in Rotherham, we had her sorted and on her way within 60 mins.